At the Spring Show today. We're helping out at the Perennial charity stall today but had some time to wander around. 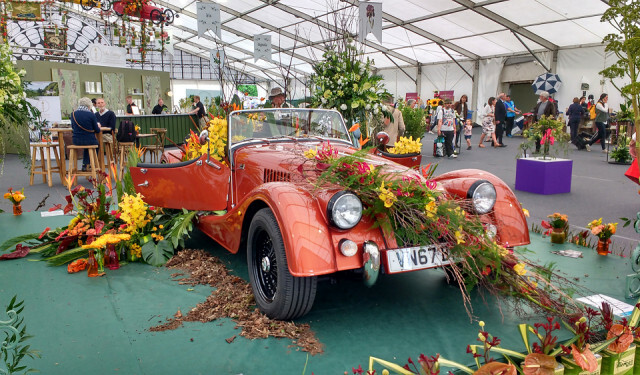 Whilst the RHS show and Morgan cars may both be synonymous with Malvern, I'm not entirely sure I'd want to adorn mine (if I had one) with vegetation, however artistically arranged. Generally quite underwhelmed with the floral arrangements this year. 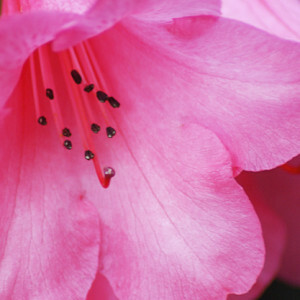 It's not exactly my thing but I can usually see something I very much like the look of. Quite liked a few of the show gardens, and some of the displays in the 'floral marquee' (not this one, the plant sales one) were very impressive.